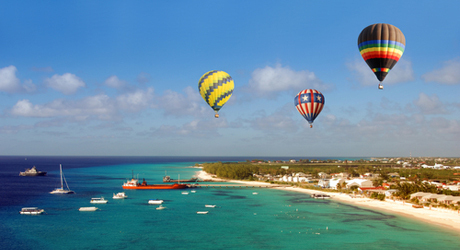 Celebrate the start to your happily ever after by taking the trip of lifetime. After you’ve exchanged vows, head off on a honeymoon vacation neither of you will ever forget. For soon-to-be newlyweds, we’ve scoured the globe for the world’s top honeymoon destinations, from enviable beachfront retreats to enchanting European getaways. 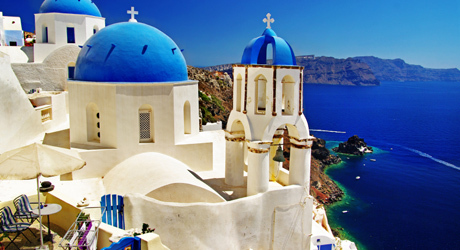 The jewel of the Aegean, this picturesque Greek isle is ideal for newlyweds who want get away from it all. Together, you can wander through the island’s whitewashed villages, float in the water at a black-sand beach, or relax in a villa overlooking the azure sea. 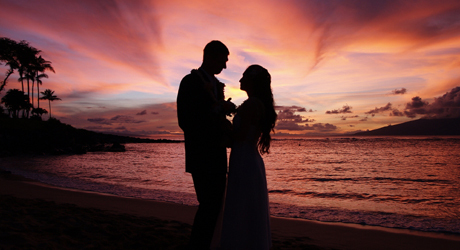 The warmth and beauty of the Aloha State draw many lovebirds to Maui. Known for its emerald rainforests and gorgeous white-sand beaches, this Pacific island blends relaxing amenities with stunning natural beauty. 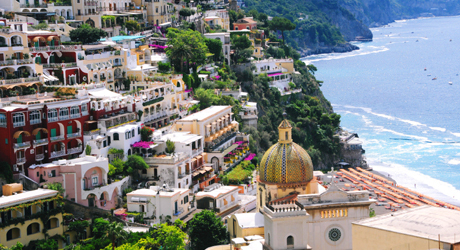 Among the most splendid and exclusive destinations in Europe, the picturesque villages along the Amalfi Coast are known for their charm, romance, and upscale Italian style, as well as excellent dining and cultural attractions. Find your wedded bliss on this small, sun-drenched island, which boasts stunning beaches and crystalline oceans—perfect for sailing, snorkeling, or simply enjoying from a lounge chair, with a fresh coconut in hand. 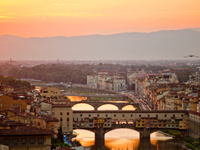 The world’s most romantic metropolis is the ideal destination for an art- and culture-loving couple. You’ll find an upbeat atmosphere and exquisite beaches along Jamaica’s Caribbean coast. For the outdoorsy couple, this scenic coastal community is known for its hot surfing beaches. 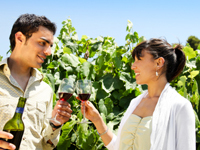 Wine- and food-lovers fall head-over-heels for California’s spectacular wine country. 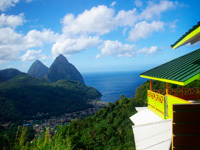 Gorgeous white-sand beaches and lush forests are the main draw on this discreet Caribbean isle. 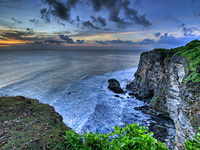 Adventurous newlyweds will love the exotic beauty and traditional culture on this tiny isle. Eco-friendly Guanacaste brings together tropical forest and gorgeous Pacific beaches. Cobblestone streets, soaring churches, and Renaissance museums define this bellisima Tuscan city.